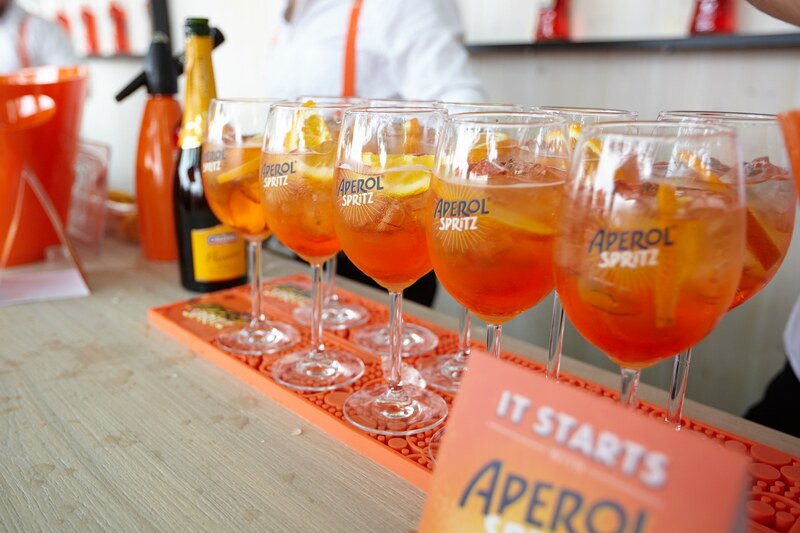 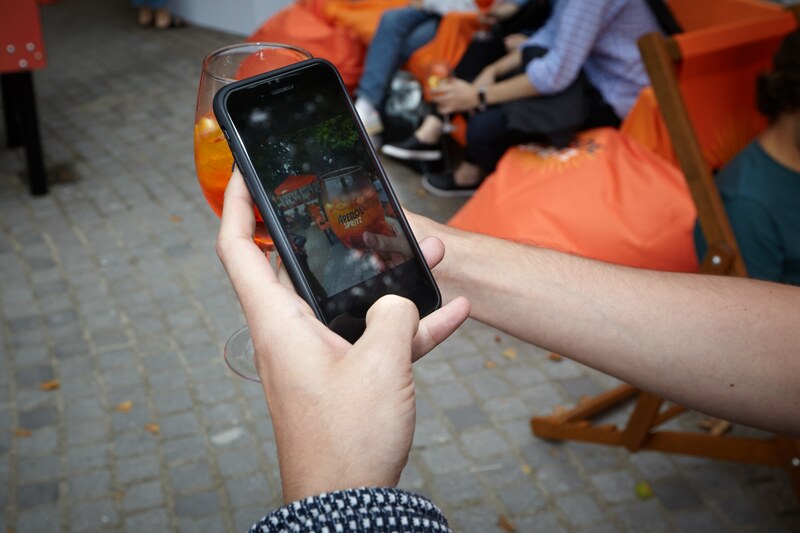 As part of the Aperol Spritz Social summer campaign, Aperol wanted to create an attention grabbing experience that would encourage Italian sociability amongst Londoners and drive use of the campaign hashtag #itstartshere. 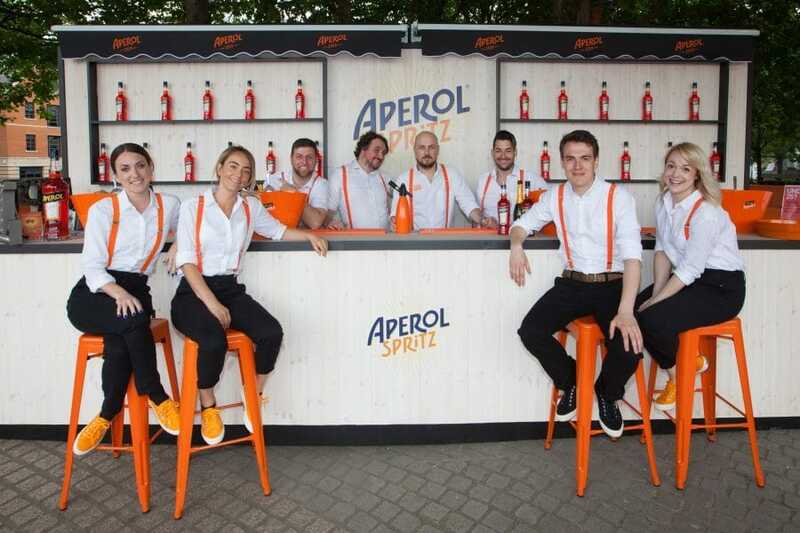 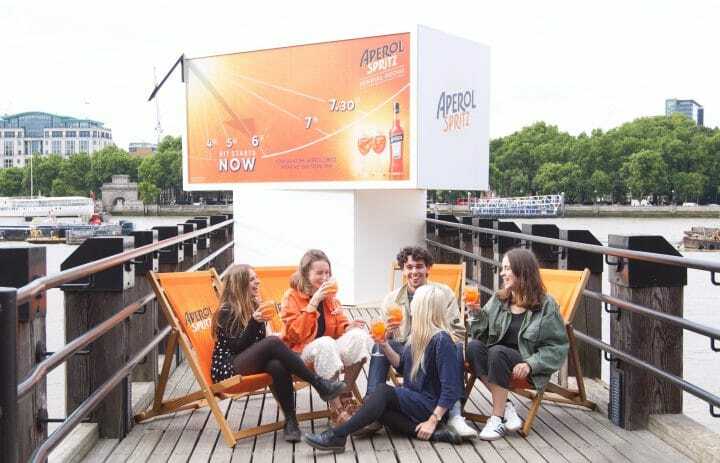 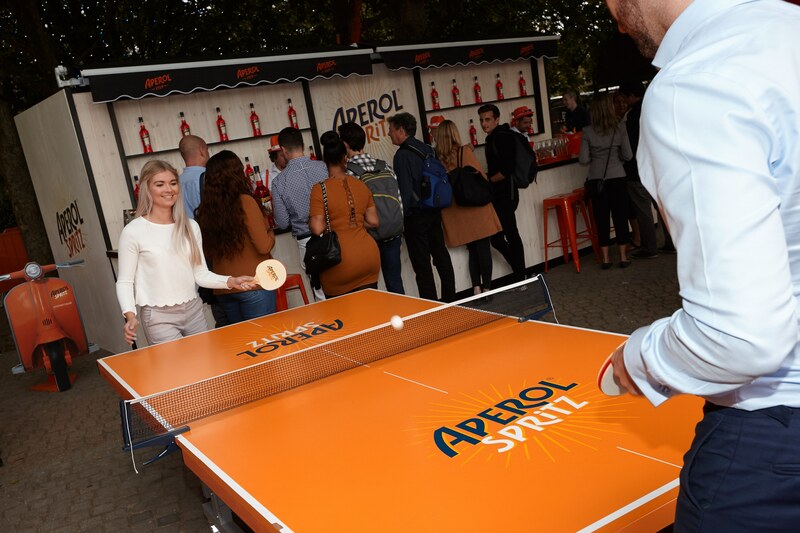 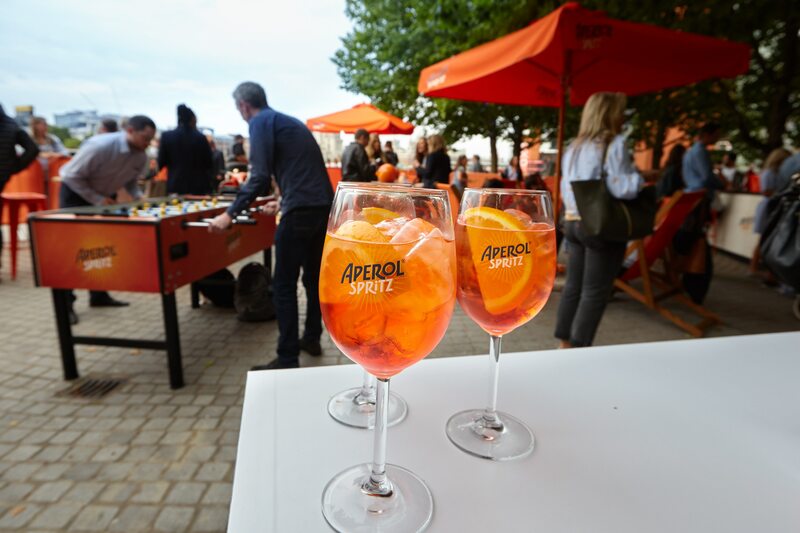 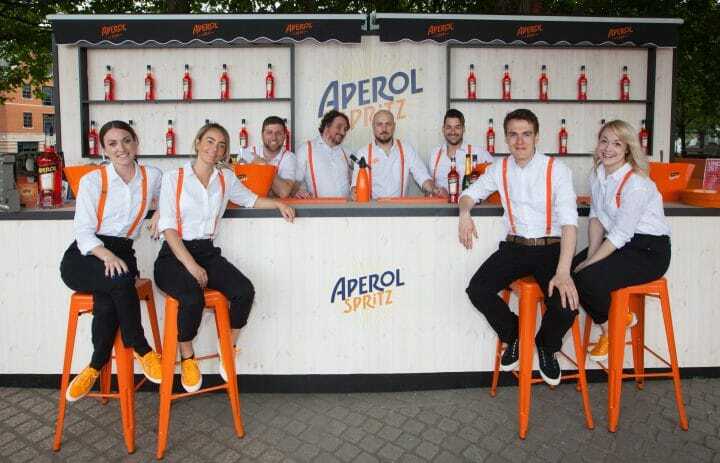 We worked closely with the client to bring to life the Aperol Spritz Sundial Social popup experience, which saw the launch of an extraordinary 20ft wide functioning sundial and bar, offering Londoners a complimentary Aperol Spritz when the dial stuck “aperitivo time” at 5pm. 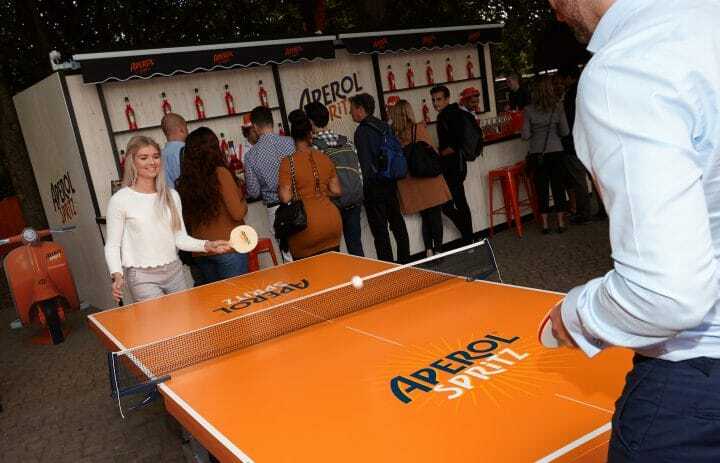 The popup experience was located on London’s Southbank and guests were welcomed in by brand ambassadors before enjoying their drink and an Italian canape in one of the deck chairs, engaging in a game of foosball or table tennis or having their photo taken in front of the sundial installation. Over the 6 activation days nearly 4,500 drinks were served, exceeding the target of 1,500 serves and with an average of more than 600 guests visiting per evening.